Core accounting functionality is exceptional - for processing A/P, A/R, and G/L transactions, this product is the best mid-market solution available. Reporting has improved significantly over the years. 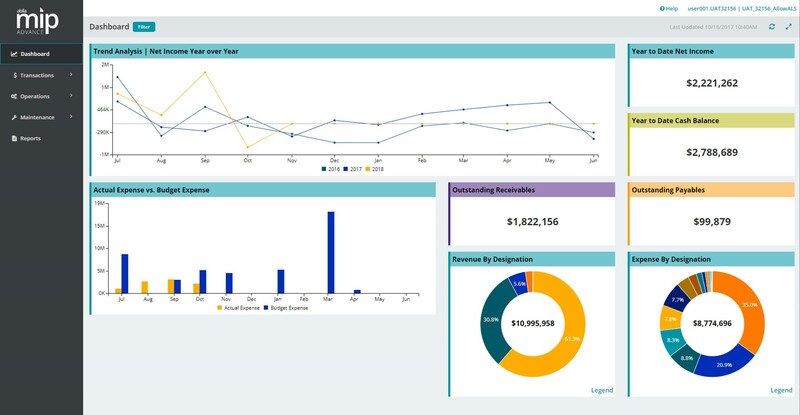 The product has many tools developed by Microsoft and in conjunction with accounting specific needs, such as SQL reporting services, smartlist builder, and Excel reporting. The user-interface is user-friendly and easy to learn - very similar to other Microsoft products. The fact that the software is housed on internal servers could be seen as a "con". These days, moving to cloud-based solutions feels like the right move. The reporting feature could use some updating. Not sure if this is due to outside influences (our network), but the solution can run rather slow at times. It feels like it is slowed down the most when all users are currently active. Once again, this may be of no fault to MS Dynamics GP. The ability to troubleshoot issues usually requires help from COSTLY independent consultants. It's the best system available. It is mostly available when it is needed, however there have been power and internet outages that have limited the availability of programs. When we have needed support, support staff has always been knowledgeable and very helpful. We always receive a timely response. The only product with have shopped was Sage Intacct. It is somewhat unfair to compare the two solutions, because Sage Intacct is a cloud-based solution. That said, Intacct appears to advertise better reporting/business intelligence capabilities. MS Dynamics GP should be aware that the market is filled with software that, at first glance, appears to be superior from a reporting standpoint. It has had a negative impact in that it remains too time consuming to get information that is needed out of the system. It is not very intuitive in lending an easy way to figure out what types of reports to run and what information can be included. Too many strange results are obtained when running trial balance reports. I get different results based on different date parameters. Negative - upgrades can be complicated and expensive. Plan for $20-$30k (or more) in time and materials from a reputable partner depending on the complexity of the upgrade and the size of your environment. Positive - robust user community provides answers to many common questions, for free.